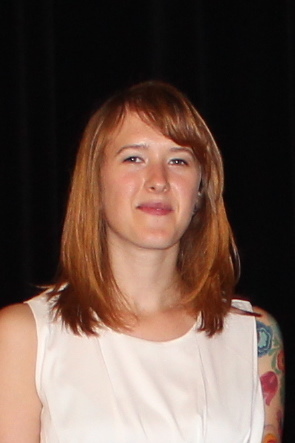 Sonia Szczesna is a graduate Research Assistant at the NJ Bicycle and Pedestrian Resource Center (NJ BPRC). She started working with BPRC in September 2016. She currently works on the Statewide Bicycle Safety survey and contributes to the BPRC blog. Sonia is currently a Master of City and Regional Planning candidate at the Edward H. Bloustein School of Planning and Public Policy, concentrating in Urban Design and Redevelopment. She received her B.A. in Geography and Russian Language from Rutgers University in May 2013 and has spent the past few years as a Fulbright English Teaching Assistant and English Instructor in Zonguldak, Turkey. Sonia is a bicycle enthusiast and believes that cycling is an active way to engage a community and promote social justice by encouraging equal access to public spaces in a city. She is also a volunteer at the New Brunswick Bike Exchange.